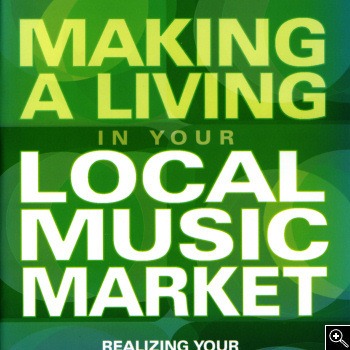 This book shows you how to expand and develop your skills as a musician and a composer right in your own backyard. It explores topics relevant to musicians of every level. "An excellent book no matter where you live . . . Just one good idea put to use could get your career going in the right direction." "The only negative I feel about this book is that I'm green with envy that I did not write it." You can survive happily as a musician in your local music market. 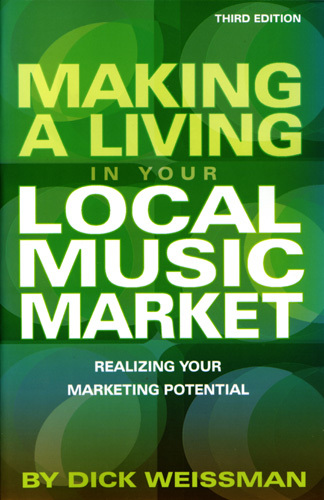 This book shows you how to expand and develop your skills as a musician and a composer right in your own backyard. Making a Living in Your Local Music Market explores topics relevant to musicians of every level: Why should a band have an agreement? How can you determine whether a personal manager is right for you? Are contests worth entering? What trade papers are the most useful? Why copyright your songs? Also covers: - Developing and packaging your artistic skills in the marketplace - Dealing with contractors, unions, club owners, agents, etc. - Producing your own recordings - Planning your future in music - Music and the Internet - Artist-operated record companies - The advantages and disadvantages of independent and major record labels - Grant opportunities for musicians and how to access them - College music business programs - Seminars and trade shows - Detailed coverage of regional music markets, including Austin, Atlanta, Denver, Miami, Seattle, and Portland, Oregon.